Property 2: Great Fall and Winter Rates! Steps from the Gulf! The Lilly Pad 2--Short Walk to the Beach!! 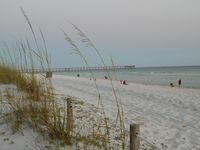 Property 3: The Lilly Pad 2--Short Walk to the Beach!! Property 4: The Lilly Pad--Short walk to beach! 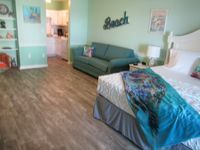 Updated condo w/ lovely ocean views, shared pool, hot tub, & more! We loved it, it was clean and quiet. The best thing we liked about it was the location. We only drove once or twice. The rest of the time we walked. Restaurants, grocery store, and beach were all with in walking distance. Perfect place for a girls' weekend! The condo was so cute and Jill was amazing! She always replies very quickly to emails and wants to make sure you are happy. The condo was the perfect size for two best friends during the Gulf Coast Pepsi Jam!